Comments Off on What is lockpicking? Lockpicking is the art of being able to open a lock using other tools than the key. Without damaging the lock. 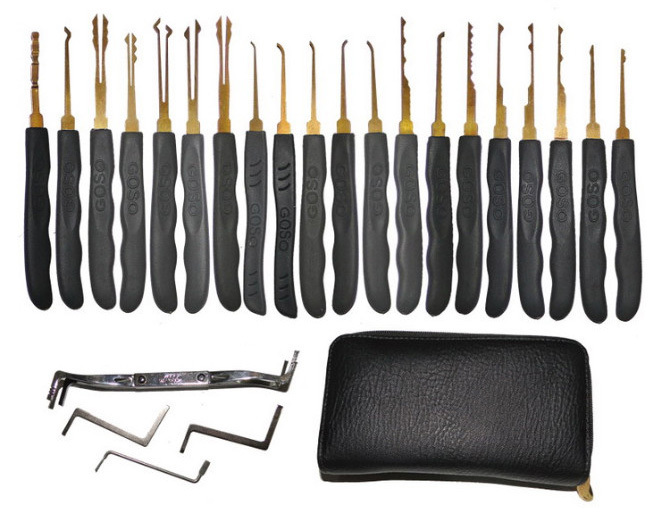 We find that people are generally curious to how lock picking works. Perhaps you’ve given it a go yourself. You might have also been successful with your suitcase lock or your padlock. We would like to give you a little bit more information here. And if you have questions please don’t hesitate to get in touch with our lovely team at any hour. Trained professionals and personal Birmingham locksmith service from a local and friendly practice. In the average door lock there are pins which need to be lifted at the height that the key which you have states. When they are in line it allows the key to turn and the lock to open. If you are void of a key and would like to pick the lock. Then use a lock picking tool kit. The flat elongated tools fits into the slim opening in for the key. Getting the pins to line up takes plenty of practice. Not only that it takes the right tool for the specific lock. High security door locks and what door material you pick makes a difference. Although picked locks do occur in conjunction with criminal activity. It’s rare these days to see a burgled house where the lock was picked. Lockpicking today is more a skill for professionals and for hobbyists. If you are considering becoming a lockpicking hobbyist, ensure that you keep in mind to always only pick locks that are your own or that you have been given permission by the owner to pick. We also highly recommend that you don’t pick the locks in use at home or at work. As it can damage the locking mechanism. And thereby leaving it vulnerable to attack. And potentially invalidating any insurance policy that you may be paying premium for. Is lockpicking something I can learn? As you have caught on film or on television. Lockpicking is a means of gaining entry to mechanicals locks though using other tools than the key intended for the lock to open it. Lockpicking is a skill that you can learn. Or we shall say, it’s several skills you can learn. Each type of lock comes with a different set of ideal techniques to bypass it. Learning how to pick a padlock is different to learning how to pick a door lock. Learning how to pick a cylinder lock is different to learning how to pick a deadbolt mortice lock. And so on. The skill that you attain in learning one, may help you with learning the other. But essentially, you have to learn how to pick each lock type, one at a time. There are several hobby lockpicking groups around. Look for a local group or course to join. Or contact your lock picking specialist today to find out where to go. Before you start, please consider. Is lockpicking legal in the UK? If you are interested in finding out more about lockpicking and the sport that it is. Please keep following our blog. For the crew here, it’s a most interesting topic and we’ll spend time in the future sharing what is going on in the world of lockpicking. One of the most asked questions in within the sport. Or by people who doesn’t have a special interest. Is the one posted above. Is it legal? In short. Yes, it’s legal, as long as you don’t pick anyone else’s lock. You have to own what you pick, or have the permission of the owner. Advisable is also never to pick a lock that is in use for something. That is to say, that you should not practice lock picking on your home doors and window locks. Lockpicking can damage the lock if not done with precision. And it’s simply not worth the risk of destroying a lock which is installed and is being utilized. ← Is there a store I can visit?